Dr. McCloskey has firsthand experience working with athletes. His wife Cecilia is a master swimmer recently setting NATIONAL AND WORLD RECORD WINS at the U.S. Masters Swimming 2015 Summer National Championship. Cecilia was NATIONAL CHAMPION in 4 Individual events and set WORLD RECORDS in the 50, 100, and 200 Backstroke events. Her 2nd Place finish in the 200IM was also under the World Record. And she also swam on a National Champion Women’s 200 Free Relay. 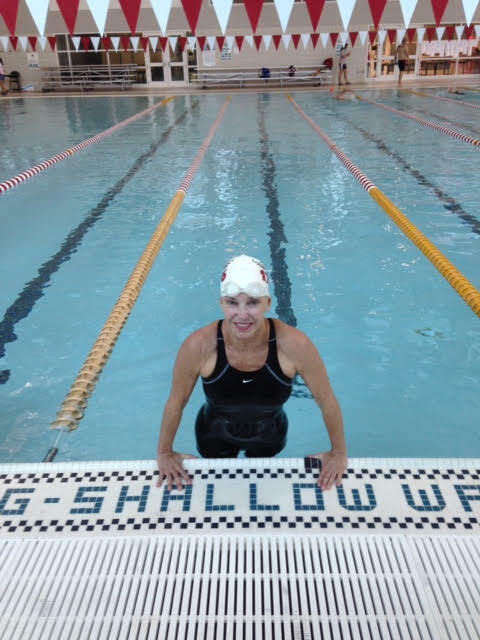 Swimming and fitness have always been part of Cecilia’s life. She started swimming at a very young age and has been competing on a national level since the age of fourteen. Cecilia’s talents allowed her to excel as a NCAA Division 1 swimmer and the captain of her team at West Chester State University winning the championship her senior year. She was also a competitor in the 1967 Pan Am Games and a 1968 Olympic Trials finalist. Read what Dr. Zabinski has to say about exercise for high school and college athletes over the summer. 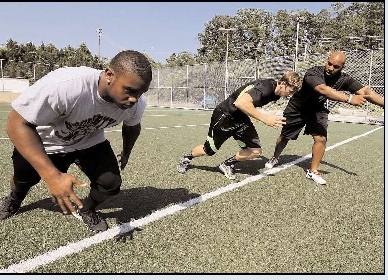 Stephon Kent, right works with student athletes Taalib Gerald, of Egg Harbor Township, left, and Nate Niederhofer, of Buena, at the Parisi Speed School at Oceanside Wellness &amp; Sports in Egg Harbor Township. When some young people are just getting home after partying all night in the summertime, Taalib Gerald is leaving his house so he can begin weight training at 5:30 a.m. five days per week at Oceanside Wellness & Sport in Egg Harbor Township. Gerald, a former Holy Spirit High School running back, will sometimes follow his initial workout with an hourlong speed training class at noon. The teenager has been training for the past eight years at Oceanside. Oceanside offers a program called the Parisi Speed School, which strives to improve an athlete’s speed and strength for their performances on their field of play.